Cambridge, Vermont is known as the ‘gateway to the Smugglers’ Notch area,’ a dramatically scenic region of north central Vermont located slightly north and west of the premier resort village of Stowe, Vermont. Jeffersonville, Vermont is a village within the township of Cambridge, and is more commonly referred to as Smugglers’ Notch, due to the popularity of the local ski area – Smugglers’ Notch Ski Resort. 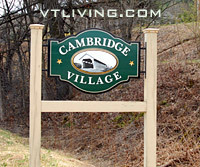 Cambridge Vermont was the site of an early encounter between the American and British troops. The town is most likely named after Cambridge, Massachusetts. Original grantees include; Samuel Robinson, Jonas Fay and Thomas Chittenden – also considered to be the founding fathers of the State of Vermont. 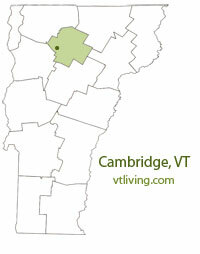 To share any Cambridge, VT information with us, please contact us. Learn more about advertising in VTLiving.